All images reproduced courtesy of Professor David Sulman Carment unless specified. Every week I come across new discoveries being made on our Flickr Commons stream. One of my aims in writing about the historic watercraft that graced Australian waters is to try and find the people behind the vessels. I want to discover the families who made these vessels their own and developed a close connection with them. 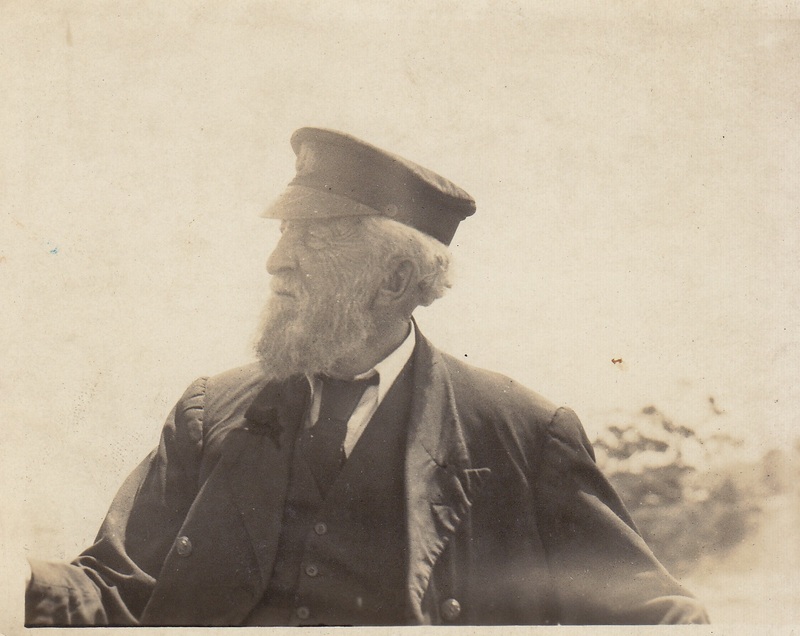 One such story yet again sprung out of a Samuel J Hood photograph from our collection, depicting a bearded man in front of the Royal Sydney Yacht Squadron headquarters in Kirribilli, Sydney. One of our Flickr followers suggested a name and once I had that name, a connection was formed and then, a story was born. Photographer: Samuel J Hood Studio, ANMM Collection. By all accounts David Carment was an energetic man, and one who never seemed to slow down with age. Described as ‘young in spirits’ David was ‘6 feet tall and well built’. Born in Comrie, Scotland in 1843, he came to Australia in 1872 after an actuary to the Australian Mutual Provident Society (AMP) in Sydney, met David while on a business trip to Britain and offered him a position with the company. During the voyage to Sydney, David stopped shaving and grew a long beard that he was to keep for the rest of his life, a steadfast traditionalist until the end. On 27 January 1876, he married Elizabeth Shallard at St Philip’s Church of England on Church Hill, Sydney. Together, they had five children of whom only two survived infancy – Elizabeth Edith and David Shallard. David Carment was considered one of Sydney’s ‘outstanding personalities’ and served as Honorary Treasurer of the Royal Society of New South Wales as well as the Australasian Association for the Advancement of Science. He was also, it seems, a fine singer, and sang in the Philharmonic Society concerts in Town Hall as well as at the opening of the famously ill-fated Garden Palace Exhibition of 1879. 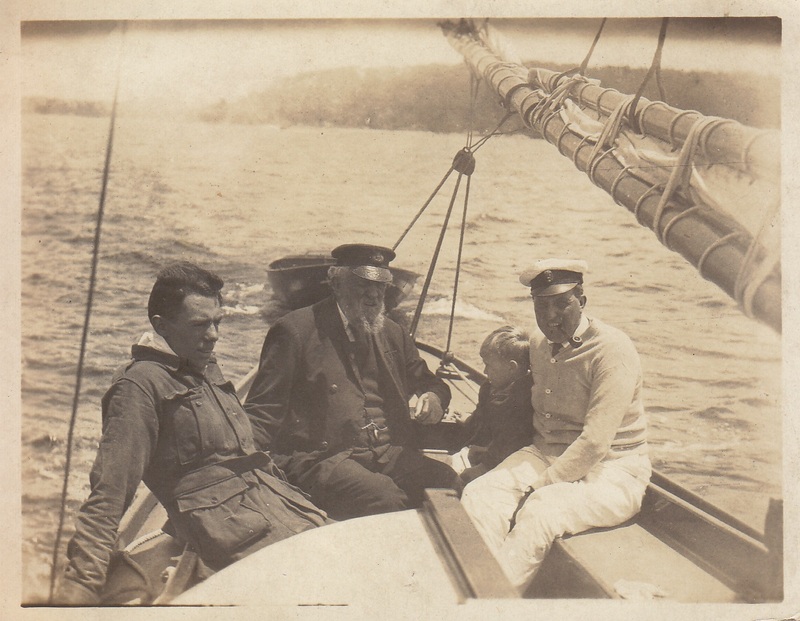 At the centre of this story for me, however, is the yacht David had built in 1905 and named Athene. Designed by E W Heywood and constructed out of New Zealand Kauri by WM Ford of Berrys Bay it was, according to his grandson Max Carment, ‘fast and wet, 34 feet length, 8 feet 6 inches beam, and 6 foot draught, and with over 1 ton of lead external ballast’. 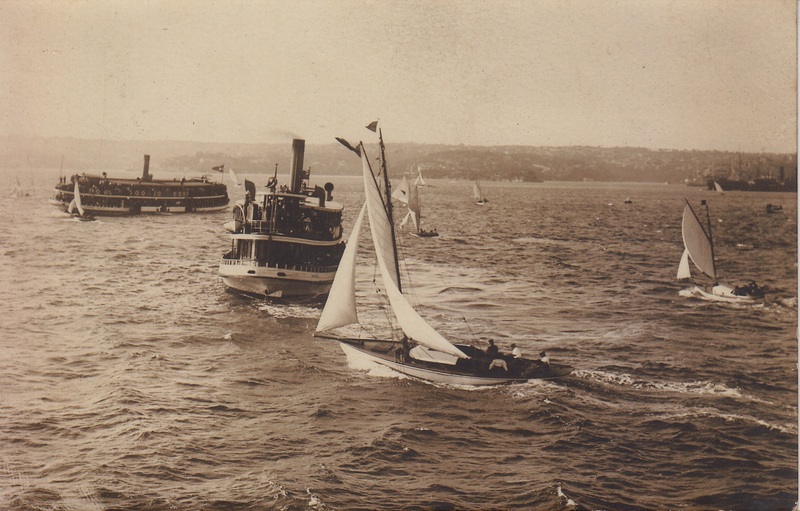 An early mention of the yacht appears in The Sydney Morning Herald on 4 April 1906, saying a private yacht race was to take place between Athene and Mr J Young’s Herreshoff. On Saturday I took the boat down the harbour with a crew of three … We had a good sail in a fresh nor’easter, and had a great view of the numerous open boat races. On Sunday it blew pretty nearly a “black nor’easter” in the afternoon…we went to North Harbour and had a truly great sail home round by Shark Island carrying full mainsail and jib. You see the lapse of years has not abated my love of a good breeze. 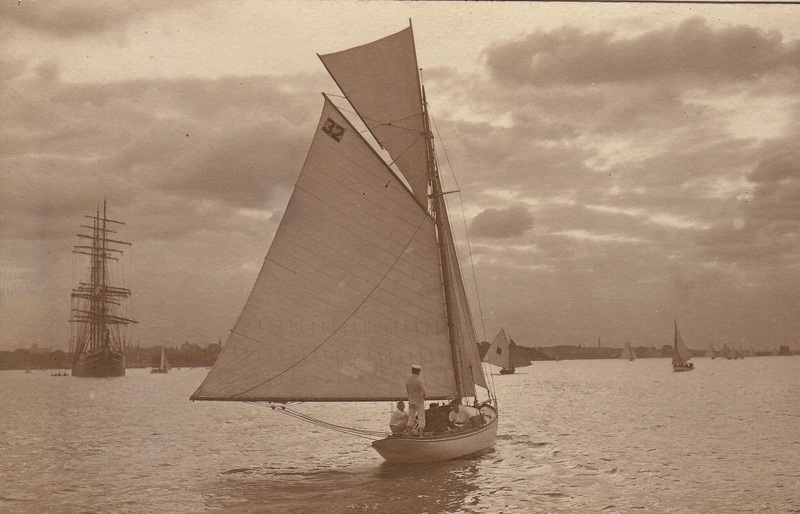 I wonder if you’ll take to sailing again when you come back … or whether you are tired of the finest sport in the world. As soon as the anchor had been dropped, cushions were laid out on the cockpit seats and a folding table set up for lunch. 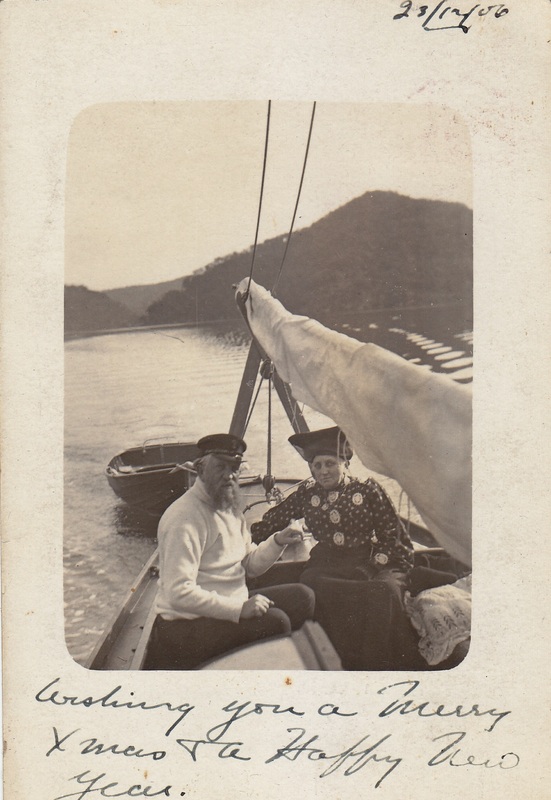 Lunch was always the same – cold beef, potatoes boiled in their jackets in sea water, pickles, bread, butter and jam. If it was hot an awning was set up over the cockpit. 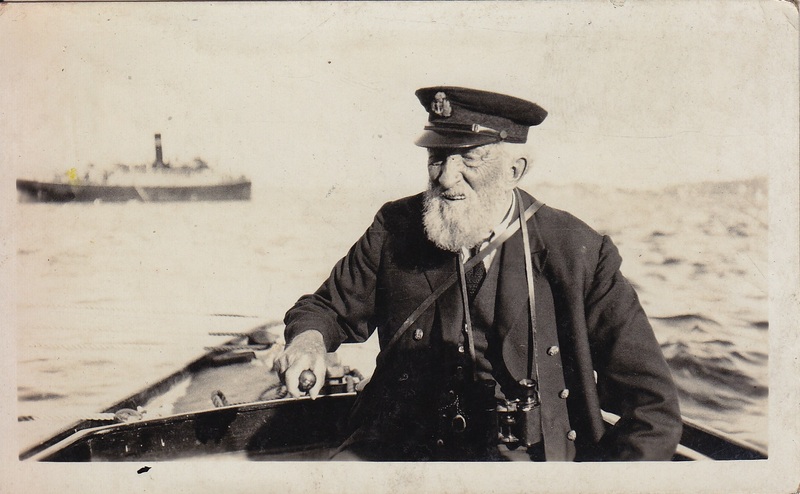 After lunch Grandfather went down to one of the two bunks in the cabin for a nap, and most of the others rowed ashore for a walk on the beach, or in summer, a swim … We usually returned to the moorings in Careening Cove about 5 pm. On 29 April 1934, only weeks after his last cruise on Athene, David died of bronchitis and myocarditis at the ripe old age of 90. 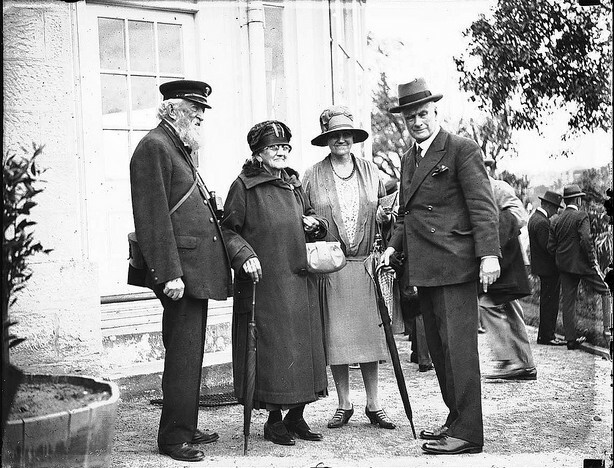 The tributes poured in, including one from Air Vice Marshal Sir Philip Game, Governor of New South Wales, who referenced the sport David loved so much: ‘I always admired him so much in all the various roles in which I came across him and was amazed at the way in which he handled a boat in any and every weather.’ Another tribute piece was written by a relative and published in the Northern Star and summed up his character quite eloquently. Amy Shallard described him as a ‘courteous gentleman’ and, despite being the ‘oldest yachtsman in Australia’, she had ‘vivid recollections of beating up the Harbour in the teeth of a howling westerly gale with “the Skipper” (as he was affectionately called) at the tiller when he was over 80 years of age.’ Four to five hundred people attended the memorial service at St Peter’s Church in North Sydney. I remember sailing on her when I was 4; I was terrified and Grandpa was angry with me for crying just because the boat seemed to be tipping up and shark fins were sticking up out of the waves. The boat had a solid waxy smell like grandpa’s Chevrolet pipe tobacco old wood and corned beef sandwiches. Thank you to Professor David Sulman Carment, for kindly allowing us to reproduce these images and for lending me his time to aid in the production of this story. 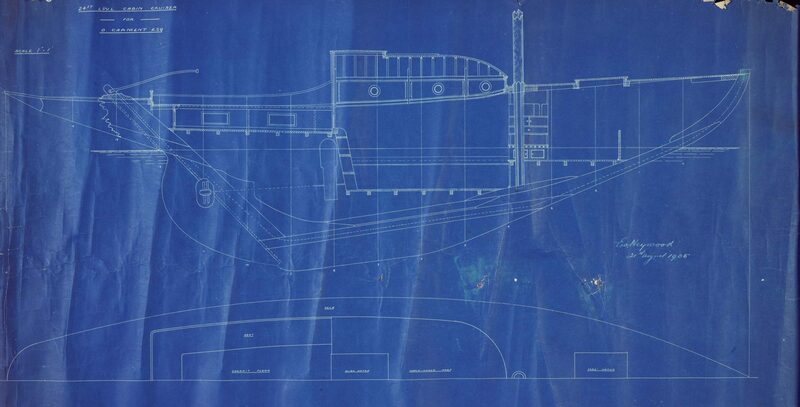 NOTE: This piece was originally published on the Australian National Maritime Museum blog on 13 March 2013. Reproduced courtesy of the Australian National Maritime Museum.